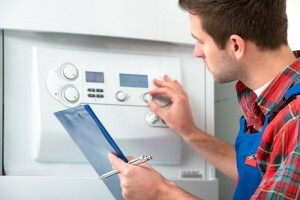 Has it been a while since you’ve had your home heating system or furnace inspected by an HVAC professional? Don’t wait until your heater is compromised and needs costly repairs to get it serviced. Regular home heater and furnace maintenance should be performed once or twice a year to keep your heating system performing at its optimal level. Be sure to use a humidifier to keep the air moist. Besides helping your heating system, it will help you to avoid developing a dry throat or dry skin. Additionally, it will reduce static electricity buildup and help to prevent your furniture and fabrics from dehydrating. Shut all of your windows and doors snugly. Check and replace your heating system filters regularly. Use ceiling fans to help circulate warm air. Choose Bryant-Durham for your home heating system maintenance and your furnace will thank you! With more than 50 years of home furnace repair and heater servicing under our belt, we have the experience to provide the highest quality of NC HVAC services. Contact us or call us today at (919) 383-9227 to set up your home heating maintenance appointment with the HVAC professionals of Bryant-Durham.